Are you going to repeat the fall and winter clubs this coming year? Just signed up for the fall, and plan to sign up for others as well! (Don’t know if I will be able to sign up for the whole year yet) What a fantastic idea! I love the thought of being able to ask what happened or how to do something right away, rather than checking through blogs and youtube videos to see if it’s been covered in the past. Also happy that this is starting in the fall – maybe my current weather conditions of 97 degrees and 93 percent humidity will have changed by then and soap will like me again! Yay! 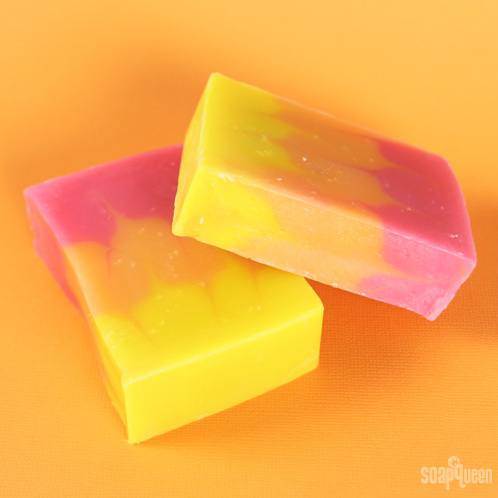 We are so excited for you to get started with the Soap Crafting Club. You will have to let us know what you think and if you get any fun pictures of your soap, be sure to share them with us on Bramble Berry’s Facebook page. Thanks Becky! I’m excited too! How do we know when we’ll be getting our subscription each month? Is an email sent out? Or does it just show up as a lovely surprise? Can anyone join the club? I have all the materials and molds already – can I join without repurchasing it all? Also, I noticed that after the first three September blogs, none of the SQ blogs are being archived. I love being able to go back and read blogs such as this… Have you stopped doing this, or is it just a temporary glitch? As long as you are located within the lower 48 US states, the Soap Crafting Club subscription is open to you. Unfortunately, we cannot open it to other countries at this time (due to the lye and low flashpoint fragrances included in the subscription), but we hope to have something in the near future for our international customers. This idea is fantastic! The only thing I am wondering about is the molds. If we already own some of the molds can we get a discount? Where will we find the videos for the classes, and are they available yet? I signed up last week and am very excited about the club. I made the Pumpkin recipe but did not use the colors in the recipe. It turned out a dark orange and smells WONDERFUL. That was 3 weeks ago and my whole house still smells like Pumpkin Bread. I just signed up! I can’t wait to get started! Okay Anne Marie, you are starting to upset me. I cannot afford a another addiction and her you are dangling this club in front of my face. I am going to need to join a support group but I will start until after I finish the club. 😉 Seriously, I LOVE your website!!! M, it looks to me like this liner is included with the mold and not sold separately. Very cool! For the Summer 2014 session I see “9 bar Birchwood Mold with silicone liner” listed. I wasn’t aware the 9 bar had a silicone liner and I can’t find it on the website. Is this liner only available in this kit for the class? If not I’d love to buy it on the Bramble Berry website! I live in Canada, can I still join the club? And what would be the extra charge for shipping? 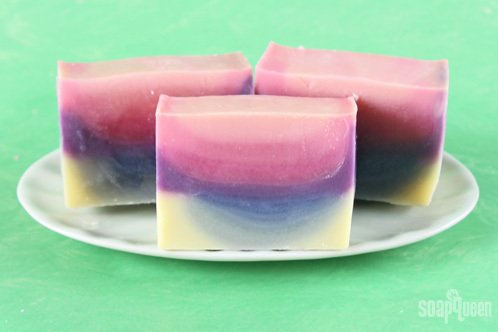 Due to the inclusion of Sodium Hydroxide and low flashpoint oils only customers in the continental 48 states are able to purchase the Soap Crafting Subscription at this time. You can still check out the fun recipes that will be worked on during these subscriptions in Anne-Marie’s Soap Crafting book. This is SO AWESOME!!! Just signed up for the Fall subscription and I am planning on subscribing for every subscription. Even though I am a small Handmade Soap maker that practically started my business this past February, I have learned a lot from your blogs. KEEP UP THE GREAT WORK, YOU HAVE AN AWESOME TEAM THAT BACKS YOU UP AT YOUR COMPANY AND I LOVE EVERY SINGLE OF YOUR PRODUCTS!!!! If we sign up for the winter or summer subscriptions now will we get our materials now or will we have to wait for the session to start? Best. Idea. Ever. Great way to learn new techniques, build a network + rub elbows with a business rock star!